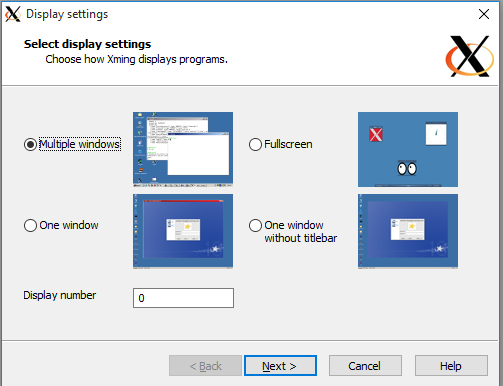 X11 windows is an application that allows you to operate a desktop application on a remote computer. The remote computer is usually running a Linux or UNIX distribution. 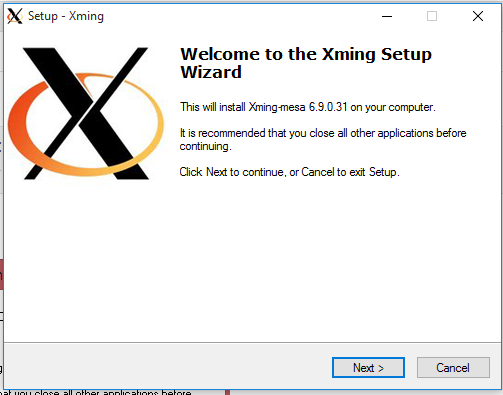 There are several X11 windows applications available for Microsoft Windows, but we are recommending xming. 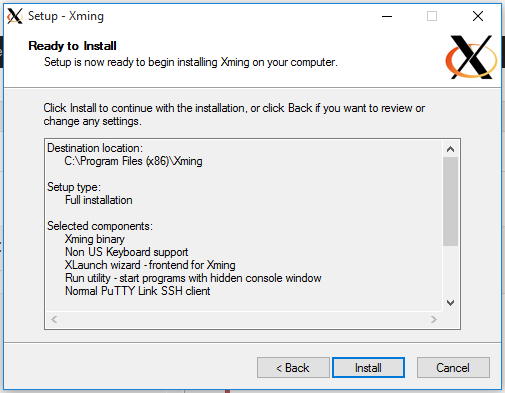 If you are using Linux on your personal computer, you do not need to install an X11 window server. X11 is supported by default in Linux. 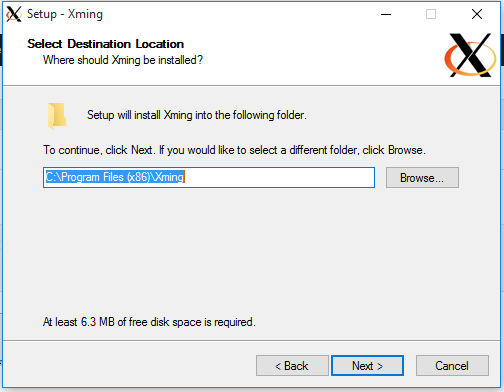 This is a simple tutorial on enabling X11 forwarding in Linux. Versions of OS X before 10.6 included X11 support. If your version of OS X is 10.7 or later, you can install Apple’s XQuartz software to support X11 windows. 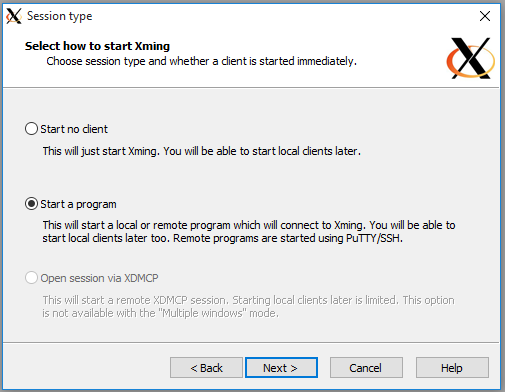 Some people report that connecting to a remote server using Xming on Windows 8 works sporadically. Sometimes you connect, sometimes you don’t. 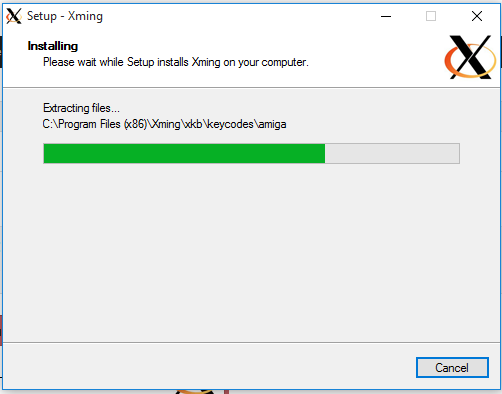 If you are running Windows 8 and experiencing connection problems, try this version of Xming. It is compiled with Microsoft’s C compiler. The installation instructions are very similar to this how-to. Upon running the application a welcome screen will appear, click next to continue. Accept the default additional tasks. Review the settings, then click Install. 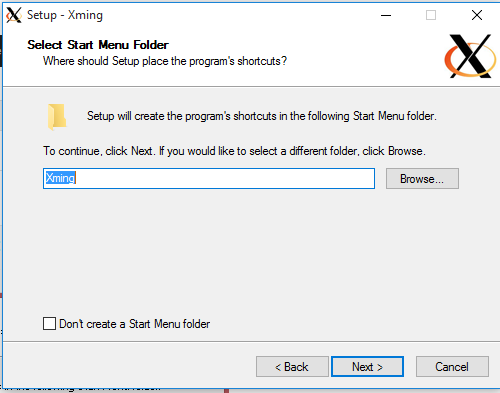 Use Xming’s XLaunch application to create shortcuts to remote computers. The shortcut will remember the name of the remote computer, your remote user name, and launch any remote applications for you. 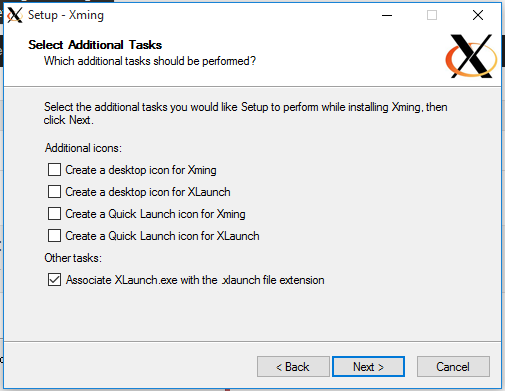 Start the XLaunch application either from the Windows start menu or from the xming-mesa installation routine. 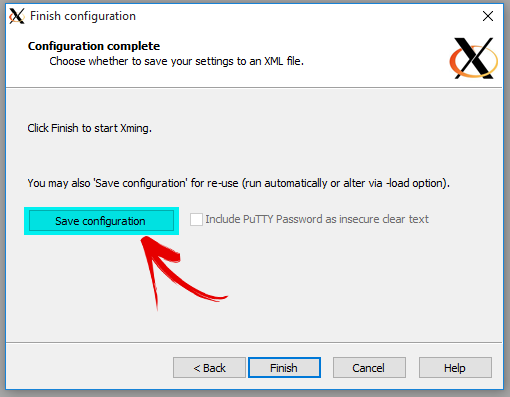 XLaunch opens the display settings dialog box. 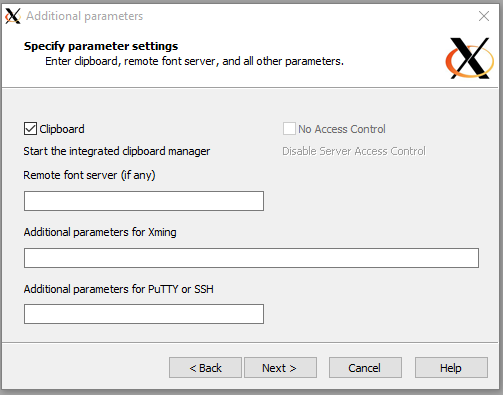 Select Start a program from the Session type dialog box. 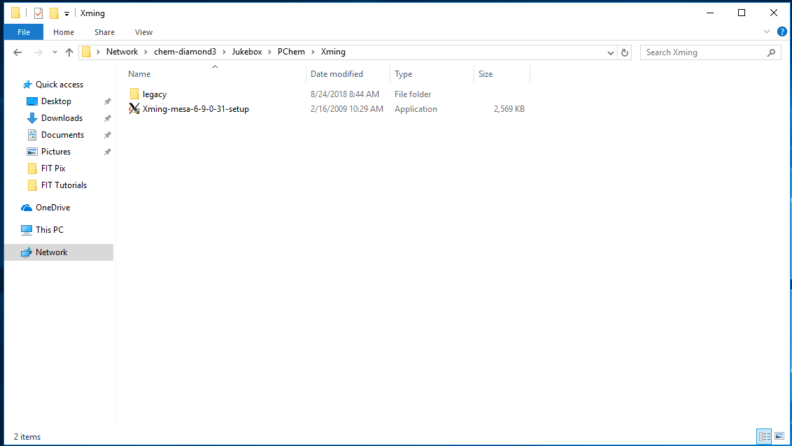 Enter the program you want to start on the remote computer, the name of the remote computer, and your user name on the remote computer. 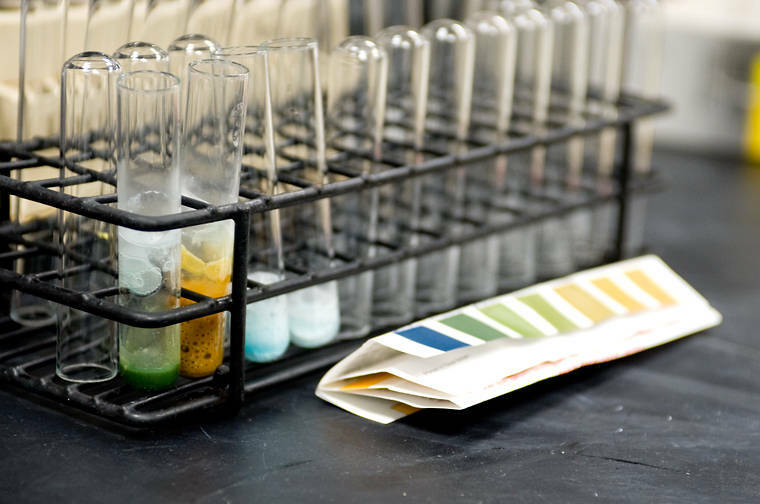 This example is for odin.chem.wsu.edu, the teaching cluster. Save your configuration in a location you will remember. For example, on the desktop. 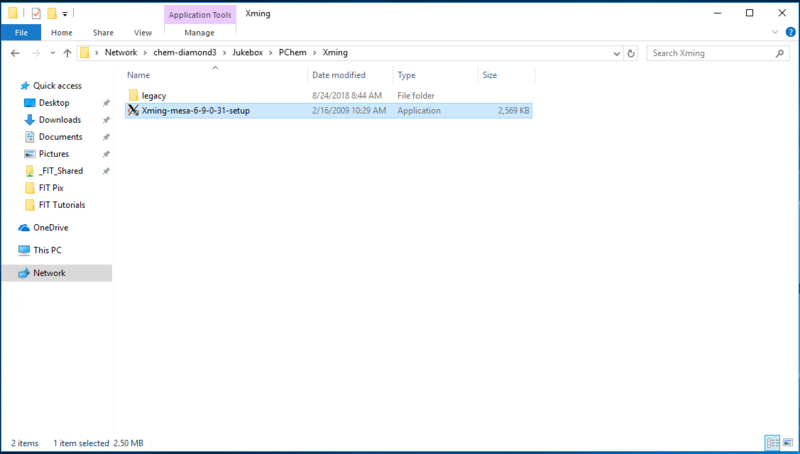 Rename the saved configuration AFTER you have saved the configuration. Click “Finish” after you have saved your configuration. 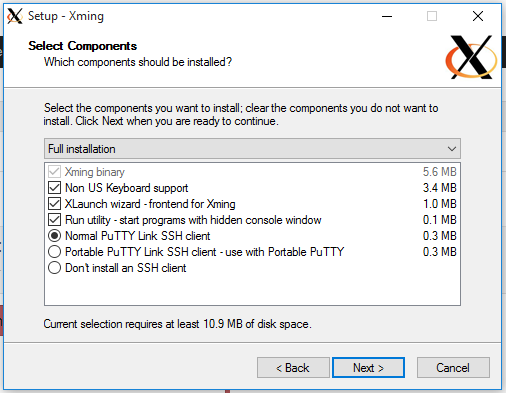 XLaunch will start the X11 server and connect you to your remote computer, usually with ssh. Start any X11 application on your remote server and enjoy. 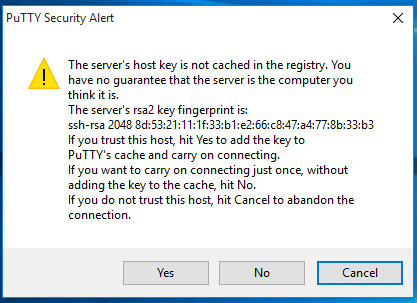 The ssh application asks you to accept the remote computer’s host key. This only happens the first time you connect to the remote computer. The application asks for your remote password. Enter it and click OK.
You are connected to the remote computer. 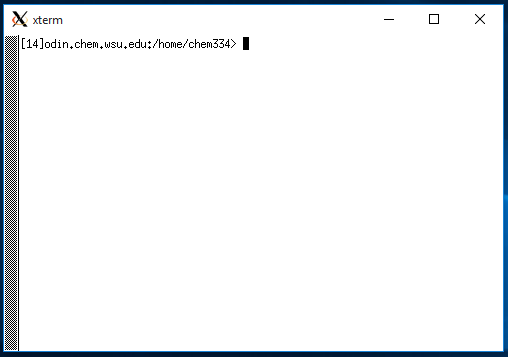 In this example, we are connected to dirac.chem.wsu.edu, running xterm. 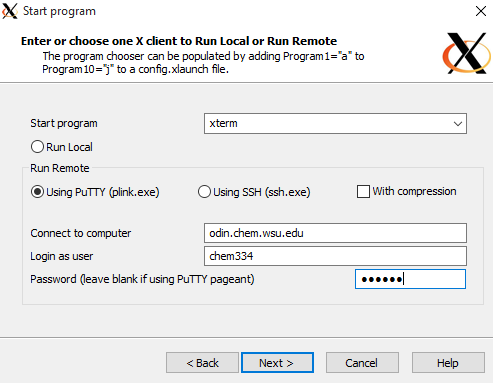 Enter any remote commands to use dirac.chem.wsu.edu.